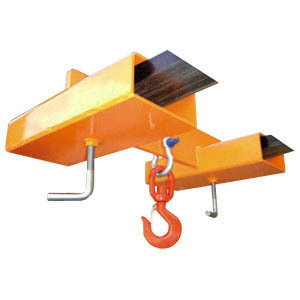 Fork Mounted Hooks provide an economical and safe method of converting a fork lift truck into a mini mobile crane. Multiple lifting positions can be achieved along the fork blade. 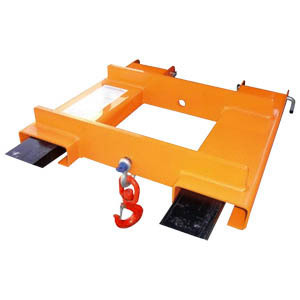 The Adjustable Fork Mounted Hook provides a quick and economical method of the lifting and positioning of unpalletised loads. Multiple lifting positions can be achieved by the correct positioning of the attachment along the fork blade.